(Bloomberg) -- Locations of road traffic accidents, sexual assaults, and other serious crimes can now be reported to some U.K. police forces using three-word addresses, such as lake.serve.actor or tigers.gears.arrows. The addresses are not code words, but the product of a system developed by What3Words Ltd., a mapping startup in London, which said Thursday that six emergency services are now making use of it. “Call center operators can receive a request from someone in distress, get a three-word address from them, then communicate that to officers on the ground who have our app on their phone,” Giles Rhys Jones, chief marketing officer of What3Words, said in an interview. Callers themselves don’t need to have the app installed, however. They’re able to receive a text message from a helpline operator, which contains a link to the What3Words website. The three-word address of their current location is displayed on-screen to be read out to the emergency call handler. 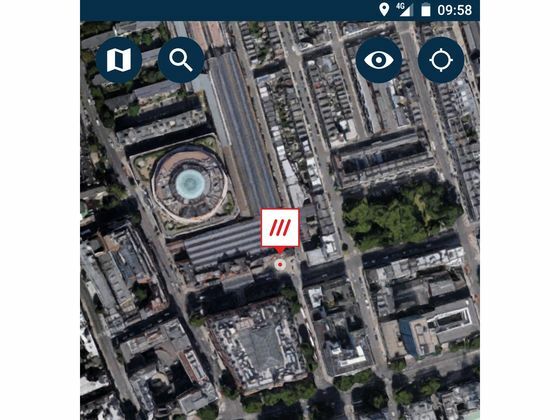 Unlike grid references and GPS coordinates, which use long alpha-numeric identifiers, or zip and postal codes, which describe relatively wide areas, What3Words divides the world into squares of 3 meters by 3 meters. It means it’s possible, for example, to tell a police officer the location of a specific public bench on which somebody has left a suspicious rucksack, rather than simply directing them to the main entrance of London’s 350-acre Hyde Park. What3Words’s Rhys Jones said about six emergency services across the U.K. are now using the technology following a series of pilot projects that began last year. In a statement, the startup said police had used its tool to help assist with a sexual assault in Humberside and a roadside collision in Yorkshire. One of the British police forces using What3Words is the Avon and Somerset Constabulary, which is responsible for a large region of southwest England. Sam Sheppard, command and control system manager for the force, said officers in the area had used the startup’s tool about 100 times since the fall, and that it helps most notably in sending help to rural areas. “The location of an emergency is not always known to a caller, and we’re sometimes spending minutes on a phone asking what they can see around them or where they were going to,” Sheppard said in an interview. He said his officers had recently taken a call for help from a mother and her child, whose car had swerved off a road and crashed while being driven through a small village during challenging nighttime weather. The startup makes money selling its software to carmakers and logistics companies. The postal services of countries such as Djibouti and Nigeria deliver mail using its addressing system, and Domino’s Pizza drivers on the Caribbean island of Saint Martin use it for deliveries. There was “a certain programming cost” associated with the integration of the technology with the software used by police, he said, and that “several police forces pooled resources together to fund it.” Rhys Jones and Sheppard declined to comment on the total cost involved.